Have you been in Ireland? Have you been in Ireland? Well Minna Jokinen an IBL student has. 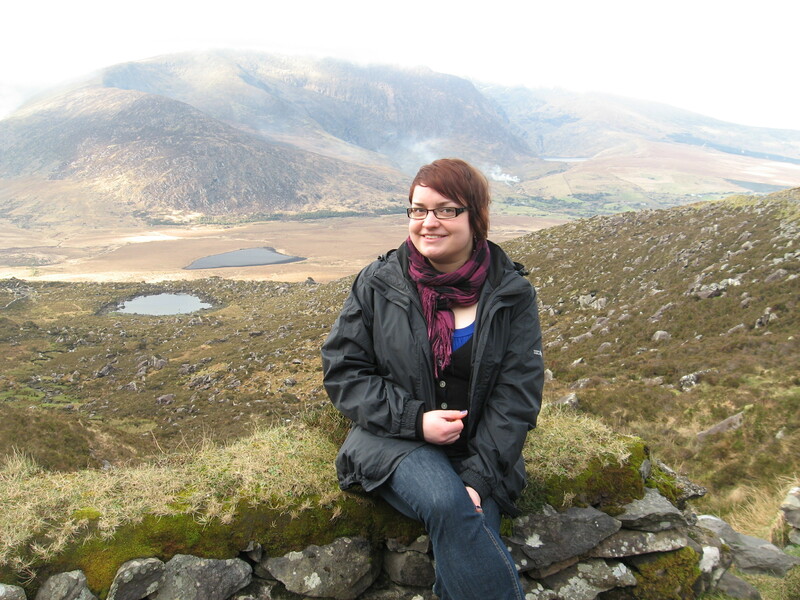 Why did you choose Ireland for studying as an exchange student? The reason that I chose to go for student exchange was because I wanted to get new experiences and learn about a new culture. When I was planning my exchange period I decided that I want to go to a European country where they speak the language that I know well. Therefore my options were quite limited and as I have already lived in UK, I wanted to try something else. In my mind Ireland appeared as stereotypical green island with beautiful landscape, pubs and merry people. As all this seemed so tempting, I decided to go to Ireland. In Ireland I had two towns to choose from, but I chose Tralee because it seemed nice and cosy small town. The Irish people in general are more extrovert and helpful than Finns. I did not spend that much time with Irish people, but mostly with other Erasmus students. It was really nice to make friends with people who all come from such different backgrounds. The school I studied in was the Institute of Technology Tralee, which was quite different than what I am used to here in Finland. First of all, the campus was much bigger than our little Metropolia Business School in Myyrmäki. The campus itself was big, but the classrooms were too small for the big groups. In Metropolia I am used to doing a lot of group works and assignments, but in IT Tralee we only had mid-term test and final exams. The final exams were horrible! Just like matriculation examinations in Finnish high school with hundreds of students in a big sports hall. Especially the mid-term exams were something that I am not used to; we just had to memorize all the stuff by heart! Luckily, the final exams where more like what I am used to in Metropolia. I never thought that it would say this, I missed Palmia’s food while I was there! For me who is used to cheap and somewhat healthy food, the meals in IT Tralee’s canteen were expensive and horrible; 4 euro for chips and chicken nuggets, with no drink or side salad, even the ketchup had to be bought separately! What was the best experience during your stay in Ireland? The whole smester was a great experience! There was so many nice moments during my Erasmus that I can’t just pick one. I shared really nice moments with my friends there and had amazing parties! I did some travelling around Ireland with few of my friends and those trips were really nice ones! We went to see for example the breathtaking Cliffs of Moher and prehistoric monument Newgrange. Do you want to go to Ireland again? I definately want to go to Ireland again! It is an amazing country and despite the small size it has lots of things to do and see. As advice for everyone planning on exchange semester abroad I want to say: DO IT! I haven’t regretted a moment that I went there. Erasmus is a great chance to get to know another culture, study, have good time and make friends with people from all over the Europe! Thank you, Minna. Your contribution will be useful information for everyone thinking of going on exchange. Hopefully, very soon you can go there once again as you haved wished! If you think this post was informative or not or if you have questions for Minna. Just add your comments to this post. You can also see some pics of Minna’s time in Ireland in the slideshow below. Previous Post Daniel and Kafil sharing their opinions about the Unite Student Conference.